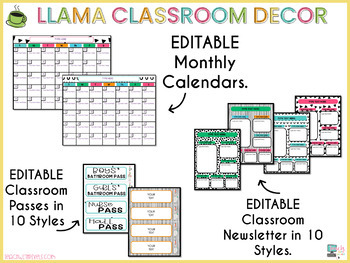 91 Pages of EDITABLE Colorful Llama and Cactus Classroom Decor Bundle for Classroom Management. This bundle is full of templates to edit and also No-Prep printables. 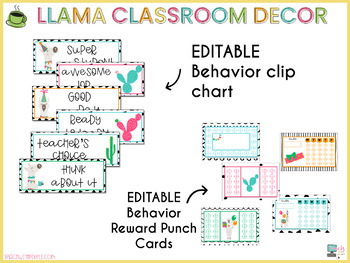 If you like brights this is the classroom decorations set for you! 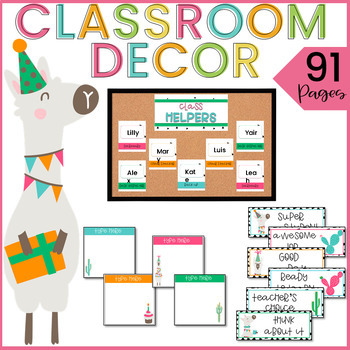 This packet is one of three bundles for this Llama and Cactus Decor theme. This bundle is the 'Management' Bundle. 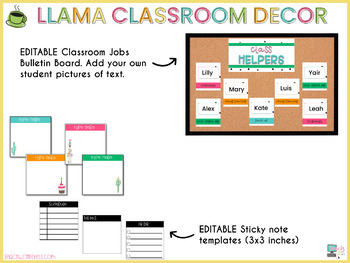 It includes 8 resources that you will need daily to run your classroom smoothly and in style. Checkout the PREVIEW to see all that's included! ➰ What will you get? ➰ Looking for something else? I hope you and your kids find value in this resource.